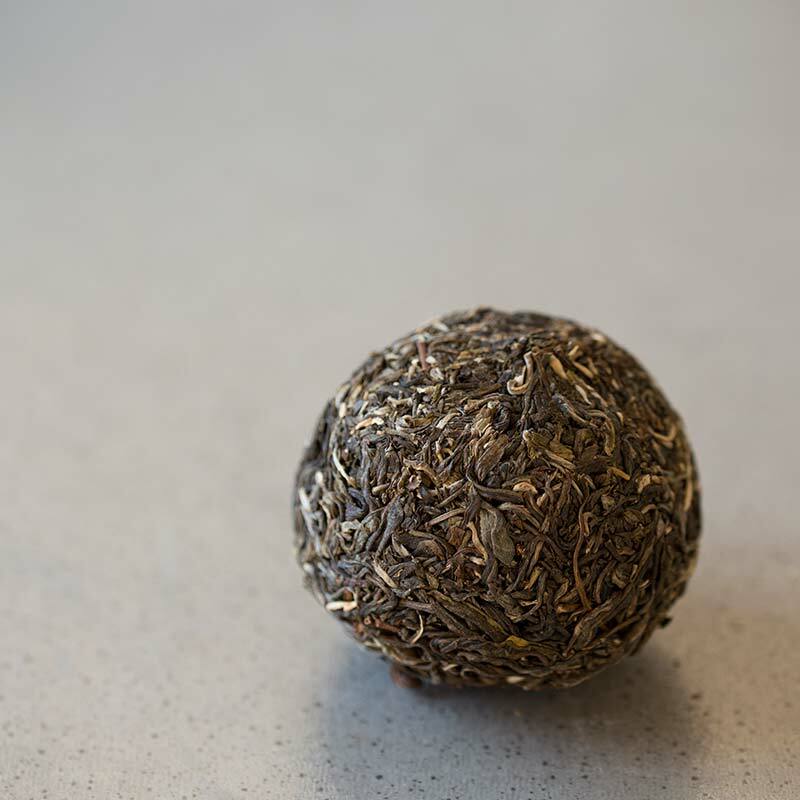 Made from 2015 lincang material, this tea has a big, bold flavour that doesn’t back down. 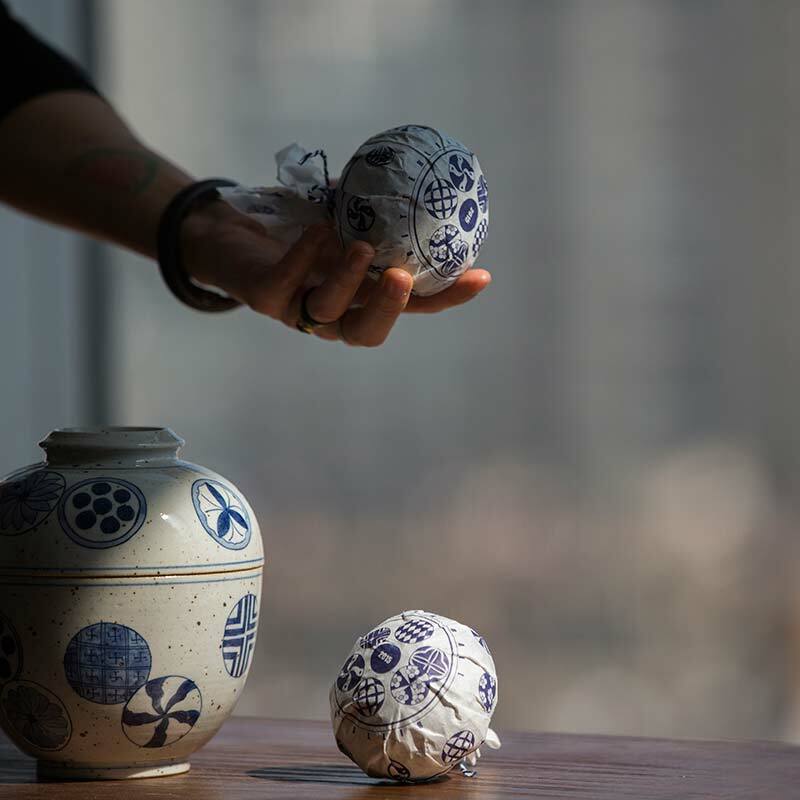 These classic shaped “tuan cha” balls were a white-wrapper find that we just couldn’t pass up. Although we purchased the whole lot, quantity is still limited. This tea is a good example of Kunming “dry” storage done right. 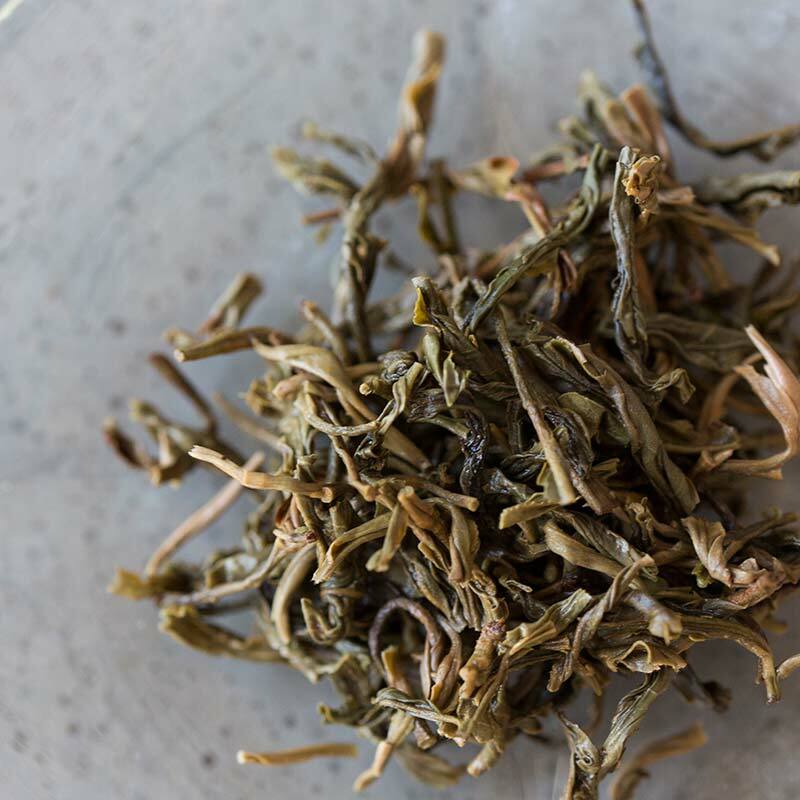 The fragrance and flavour are still very much present up front, but with some extra smoothness compared to a typical younger sheng. While many teas of this age can seem unsure of who they are, this one has the balls to be bold. Really easy going, mellow lincang material that is delicious and aromatic, though slightly restrained, with a nice light aged character; very clean. The storage must be similar to my own, because I can recognize very similar aged character in my purchases back in the Spring of 2015 (humid-controlled midrange storage, not dry, not wet). I couldn’t help myself with this one, simply due to the shape, but the tea itself is very nice. I received a sample in a previous order (thanks!) 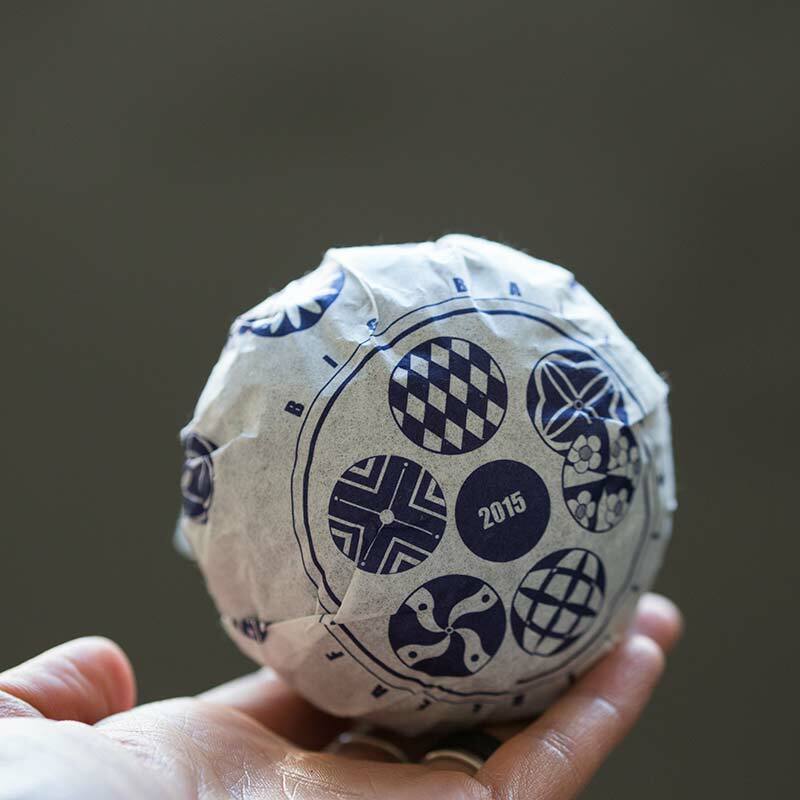 after buying this blindly, so I haven’t cracked open my Big Ball, just been drinking on the sample, so I can’t comment on how easy or difficult this shape is to work with, but c’mon, its fun (and nice tea). 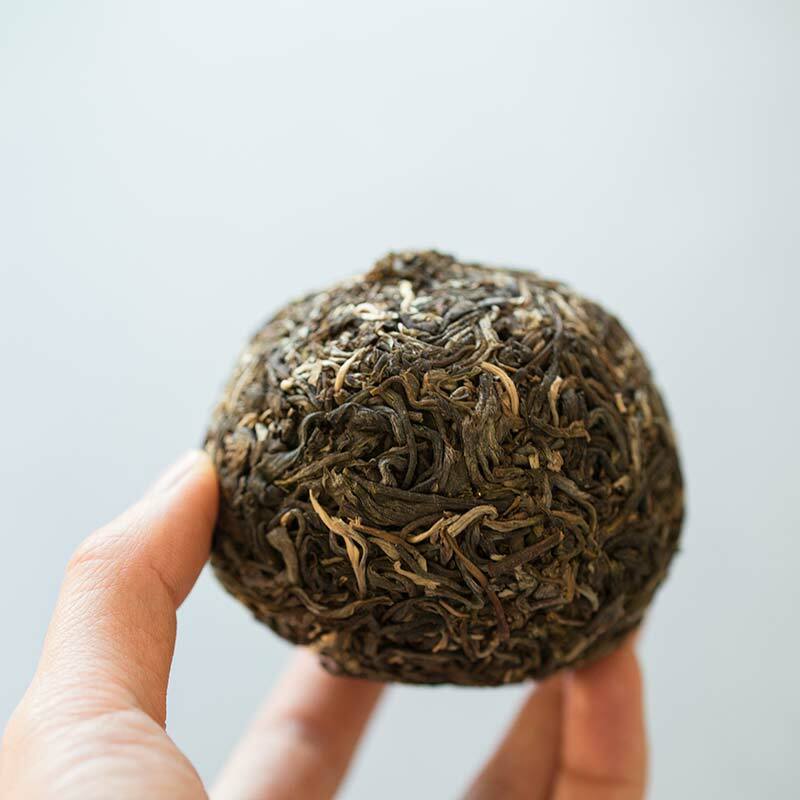 I’m also quite curious how a ball of pu’er will age. I was surprised by this tea, in a good way as well. 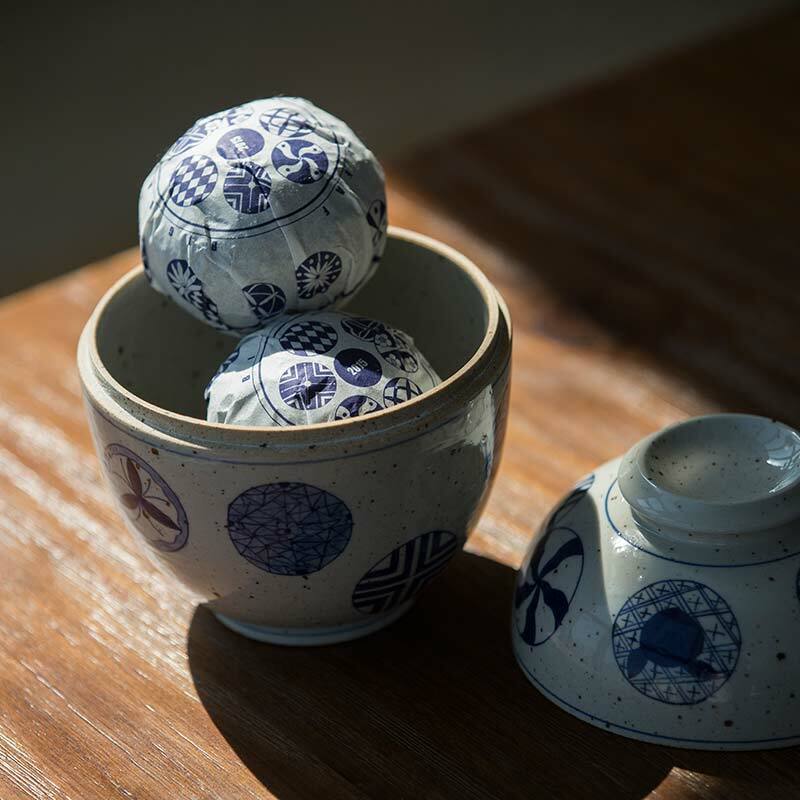 To start off with, it is very loosely compressed, so breaking of parts of it was very easy – the tea that got into my gaiwan looked like maocha! I got a good 12 steeps of this, and the flavor was quite sweet all the way through. Around 3-4 steepings, there was a sweetness followed by a bitterness that was super nice and complemented the fruitiness very well. 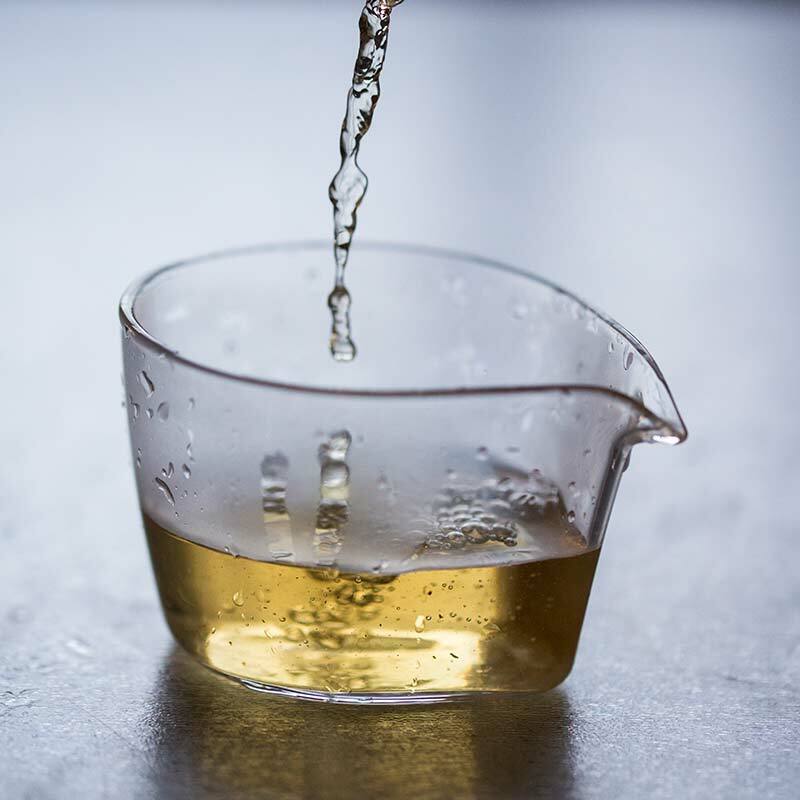 The tea was very nice to drink, and I would personally recommend it to beginners considering how the flavors are very approachable and more recognizable than other sheng, with fruit being at the forefront for both my friend (who doesn’t drink tea very much) and myself. For this being a few years old already, many of the top notes are still there, so I am debating whether I will drink this now or see how it stores for the long run. As AstralAscension mentions above, the compression is super loose which is always a nice surprise with Tuos. I’m inevitably drawn in by packaging (and Lincang terroir), so I had to get this one. 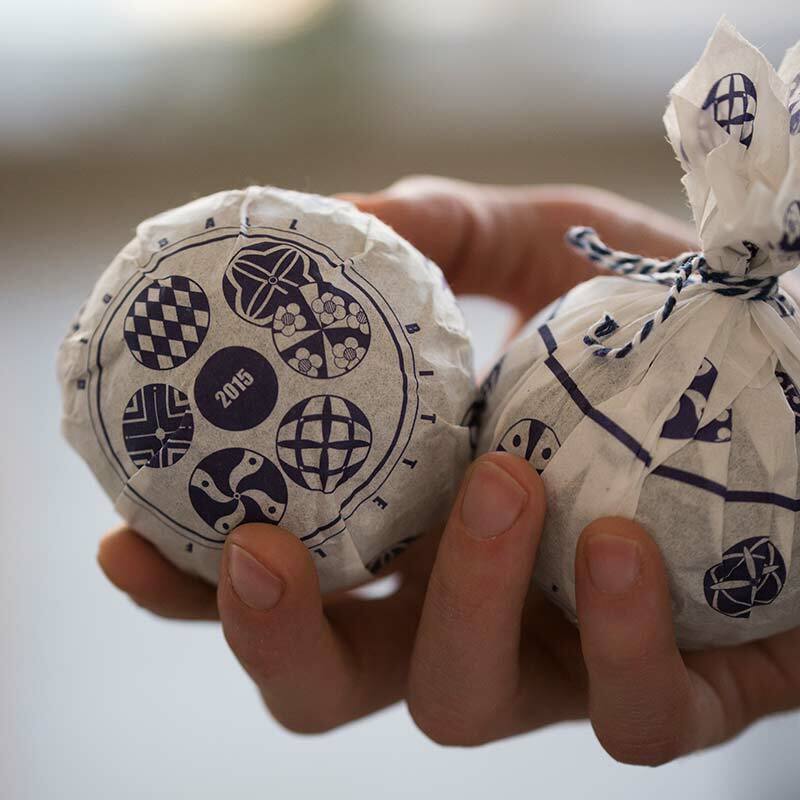 The Kamon style pattern on the wrapper reminds me a lot of the logo for my business, Noumenal Loom, so it will be a fun tea to enjoy alongside special occasions and new releases :^) Excited to see where the tea market experience goes from here.